Chain Link is a very popular choice of fencing for people who desire a maintenance free, long lasting and affordable fence with an open look. Chain Link is excellent for dog containment and a 6 feet high fence is a good deer deterrent. Chain Link is also useful for defining property lines while providing security with the nearly transparent view it offers. 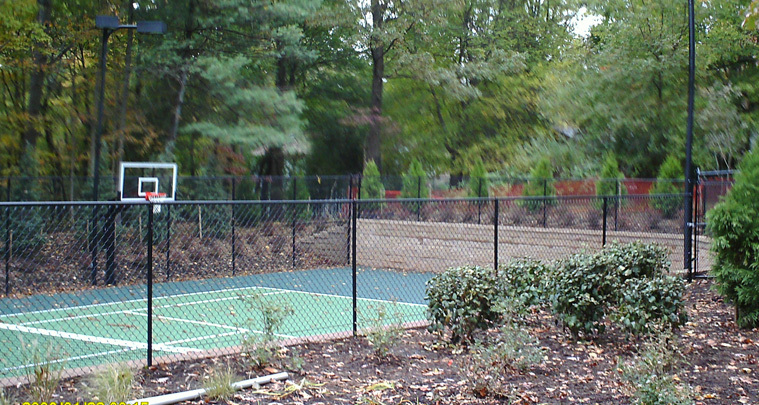 Chain Link comes in numerous heights, colors and grades of strength to meet every homeowner’s needs. The vinyl coated chain link has become the standard choice of most homeowners by giving an attractive vinyl coated finish that appeals to the eye. If privacy is also desired with the durability and strength of Chain Link, we offer Vinyl Privacy Slats or Fabric Screening.